The following discussion comes from the 1866 edition of Louis Figuier's The World before the Deluge, a treatise on geology and paleontology, as expanded and edited by Henry William Bristow. Nineteenth century German engraving of a mammoth skeleton. We might fill volumes with the history of the remains of pretended giants found in ancient tombs. The books, in fact, which exist formed a voluminous literature in the middle ages—entitled Gigantology. All the facts, more or less real, true or imaginative, may be explained by the accidental discovery of the bones of some of these gigantic animals. We find in works on Gigantology, the history of a pretended giant, discovered in the fourth century, at Trapani in Sicily, of which Boccaccio speaks, which may be taken for Polyphemus: of another, found in the sixteenth century, according to Fasellus, near Palermo; others, according to the same author, at Melilli between Leontium and Syracuse, Calatrasi and Petralia, at each of which places the bones of supposed giants were disinterred. P. Kircher speaks of three other giants being found in Sicily, of which only the teeth remained perfect. In 1577, a storm having uprooted an oak near the cloisters of Reyden, in the Canton of Lucerne, in Switzerland, some large bones were exposed to view. Seven years after, the celebrated physician and Professor at Basle, Felix Platen, being at Lucerne, examined these bones, and declared they could only be those of a giant. The Council of Lucerne consented to send the bones to Basle for more minute examination, and Platen thought himself justified in attributing to the giant a height of nineteen feet. He designed a human skeleton on this scale, and returned the bones with the drawing to Lucerne. In 1706, there only remained of these bones a portion of the scapula and a fragment of the wrist-bone; the anatomist Blumenbach, who saw them at the beginning of the century, easily recognized in them the bones of an Elephant. Let us not omit to add, as a complement to this story, that since the sixteenth century, the inhabitants of Lucerne have adopted the image of this pretended giant as the supporter of the city arms. Spanish history preserves many stories of giants. The pretended tooth of St. Christopher, shown at Valence, in the church dedicated to the saint, was certainly the molar tooth of a fossil Elephant; and in 1789, the canons of St. Vincent carried through the streets in public procession, to procure rain, the pretended arm of a saint, which was nothing more than the femur of an Elephant. In France, in the reign of Charles VII. (1456), some of these bones of pretended giants appeared in the bed of the Rhône. A repetition of the phenomenon occurred near Saint-Peirat, opposite Valence, when the Dauphin, afterwards Louis XI., then residing at the latter place, caused the bones to be gathered together and sent to Bourges, where they long remained objects of public curiosity in the interior of the Sainte-Chapelle. In 1564, a similar discovery took place in the same neighbourhood. Two peasants observed on the banks of the Rhone, along a slope, some great bones sticking out of the ground. They carried them to the neighbouring village, where they were examined by Cassanion, who lived at Valence. It was no doubt apropos to this that Cassanion wrote his treatise 'De Gigantibus.' The description given by the author of a tooth sufficed, according to Cuvier, to prove that it belonged to an Elephant; it was a foot in length, and weighed eight pounds. It was also on the banks of the Shone, but in Dauphiny, as we have seen, that the skeleton of the famous Teutobocchus, of which we have spoken in a previous chapter, was found. In 1663, Otto de Guericke, the illustrious inventor of the air-pump, witnessed the discovery of the bones of an Elephant, buried in the shelly limestone, or Muschelkalk. Along with it were found its enormous tusks, which should have sufficed to establish its zoological origin. Nevertheless they were taken for horns, and the illustrious Leibnitz composed, out of the remains, a strange animal carrying a horn in the middle of its forehead, and in each jaw a dozen molar teeth a foot long. 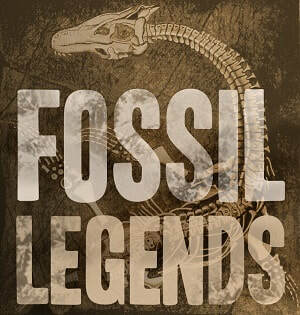 Having fabricated this fantastic animal, Leibnitz named it also; he called it the fossil unicorn. In his 'Protogaea.' a work remarkable besides as the first attempt at a theory of the earth, Leibnitz gave the description and a drawing of this imaginary being. During more than thirty years the unicorn of Leibnitz was universally accepted throughout Germany; and nothing less than the discovery of the entire skeleton of the Mammoth in the valley of the Unstrut was required to produce a change of opinion. This skeleton was at once recognized by Tinzel, librarian to the Duke of. Saxe-Gotha, as that of an Elephant, and was established as such; not, however, without a keen controversy with adversaries of all kinds. In 1700, a soldier of Wurtemburg accidentally observed some bones showing themselves projecting out of the earth, in an argillaceous soil, near the city of Canstadt, not far from the banks of the Necker. Having addressed a report to the reigning Duke, the latter caused the place to be excavated, which occupied nearly six months. A veritable cemetery of elephants was discovered, in which were not less than sixty tusks. Those which were entire were preserved; the fragments were abandoned to the court physician, and they became a mere vulgar medicine. In the last century the fossil bones of bears, which were abundant in Germany, were administered in that country medicinally, as an absolvent, astringent, and sudorific. It was then called by the German doctors the Ebur fossile, or Unicornu fossile, Licorn fossil. The magnificent tusks of the Mammoth found at Canstadt helped to combat fever and colic. What an intelligent being this court physician of Wurtemburg must have been! Numerous discoveries like those we have quoted distinguished the eighteenth century, but the progress of science has now rendered such mistakes as we have had to relate impossible. These bones were at length universally recognized as belonging to an Elephant, but erudition now intervened, and helped to obscure a subject which was otherwise perfectly clear. Some learned pedant declared that the bones found in Italy and France were the remains of the Elephants which Hannibal brought from Carthage with the army in his expedition against the Romans. The part of France where the most ancient bones of these Elephants were found is in the environs of the Rhone, and consequently on the route of the Carthaginian general, and this consideration appeared to these terrible savants to be a particularly triumphant answer to the naturalist's reasoning. Again, at a later period, Domitius Ænobarbus conducted the Carthaginian armies, which were followed by a number of Elephants, armed for war. Cuvier scarcely took the trouble to refute this insignificant objection. It is merely necessary to read in his learned dissertation of the number of elephants which could remain to Hannibal when he had entered Gaul. But the best reply that can be made to this strange objection raised by the learned, is to show how extensively these fossil bones of Elephants are scattered, not in Europe only, but over the world: there are few regions of the globe in which their remains are not found. In the north of Europe, in Scandinavia, in Ireland, in Germany, in Central Europe, in Poland, in Middle Eussia, in South Eussia, in Greece, in Italy, in Africa, in Asia, and, as we have seen, in England. In the New World remains of the Mammoth are also met with. What is most singular is, that these remains exist more especially in great numbers in the north of Europe, in the frozen regions of Siberia; regions altogether uninhabitable for the Elephant in our days. "There is not," says Pallas, "in all Asiatic Russia, from the Don to the extremity of the promontory of Tchutchis, a stream or river, especially of those which flow in the plains, on the banks of which some bones of Elephants and other animals foreign to the climate have not been found. But in the more elevated regions, the primitive and schistose chains, they are wanting, as are marine petrifactions. But in the lower slopes and in the great muddy and sandy plains, above all, in places which are swept by rivers and brooks, they are always found, which proves that we should not the less find them throughout the whole extent of the country if we had the same means of searching for them." Every year in the season when thaw takes place, the vast rivers which descend to the Frozen Ocean in the north of Siberia sweep down with their waters numerous portions of the banks, and expose to view bones buried in the soil and in the excavations left by the rushing waters. Cuvier gives a long list of places in Russia in which interesting discoveries have been made of Elephants' bones, and it is certainly curious that the more we advance towards the north in Russia the more numerous and extensive do the bone depositories become. In spite of the oft-repeated and undoubted testimony of numerous travellers, we can scarcely credit the statements made respecting some of the islands of the glacial sea near the poles, situated opposite the mouth of the Lena and of the Indighirka. Here, for example, is an extract from 'Billing's Voyage' concerning these isles: "The whole island (which is about thirty-three leagues in length), except three or four small rocky mountains, is a mixture of ice and sand; and as the shores fall, from the heat of the sun's thawing them, the tusks and bones of the mammont are found in great abundance. To use Chvoinoff’s own expression, the island is formed of the bones of this extraordinary animal, mixed with the horns and heads of the buffalo, or something like it, and some horns of the rhinoceros." New Siberia and the Lachow Islands off the mouth of the river Lena, are, for the most part, only an agglomeration of sand, ice, and Elephants' teeth. At every tempest the sea casts ashore new quantities of Mammoth's tusks, and the inhabitants of Siberia carry on a profitable commerce in this fossil ivory. Every year, during the summer, innumerable fishermen's barks direct their course towards this isle of bones; and, during winter, immense caravans take the same route, all the convoys drawn by dogs, returning charged with the tusks of the Mammoth, each weighing from one hundred and fifty to two hundred pounds. The fossil ivory thus withdrawn from the frozen north is imported into China and Europe, where it is employed for the same purposes as ordinary ivory, which is furnished, as we know, by the existing Elephant and Hippopotamus of Africa and Asia. The Isle of Bones has served as a quarry of this valuable material, for export to China, for five hundred years; and it has been exported to Europe for upwards of a hundred. But the supply from these strange mines apparently remains practically undiminished. What a number of accumulated generations of these bones and tusks does not this profusion imply! It was in Siberia that the fossil Elephant received the name of the Mammoth, and its tusks that of mammoth-horns. The celebrated Russian savant, Pallas, who gave the first systematic description of the Mammoth, asserts that the name is derived from the word mama, which in the Tartar idiom signifies the earth. According to others, the name is derived from behemoth, mentioned in the Book of Job; or from the epithet mahemoth, which the Arabs add to the word ‘elephant,’ to designate one of unusual size. A curious circumstance enough is, that this same legend of an animal living exclusively under ground, exists amongst the Chinese. They call it tien-schu: and we read in the great Chinese work on Natural History, which was written in the sixteenth century: "The animal named tien-schu, of which we have already spoken in the ancient work upon the ceremonial entitled 'Lyki' (a work of the fifth century before Jesus Christ), is called also iyn-schu or yn-sehu, that is to say, the mouse which hides itself. It always lives in subterranean caverns; it resembles a mouse, but is of the size of a buffalo or ox. It has no tail; its colour is dark; it is very strong and excavates caverns in places full of rocks, and forests." Another writer, quoting the same passage, thus expresses himself: "The tyn-schu haunts obscure and unfrequented places. It dies as soon as it is exposed to the rays of the sun or moon; its feet are short in proportion to its size, which causes it to walk badly. Its tail is a Chinese ell in length. Its eyes are small, and its neck short. It is very stupid and sluggish. When the inundations of the river Tamschuann-tuy took place (in 1571), a great many tyn-schu appeared in the plain; it fed on the roots of the plant fu-kia."